Help us choose Hubnugget's prize"
Most of us have heard the familiar strains of this popular Christmas carol, depicting the 12 days of Christmas. Where many of us just enjoy the music and the image of some poor girl opening up her window and seeing 6 geese a-laying in her front yard, we rarely give thought to what the song represents. Many Theologians believe that the song 'The 12 Days of Christmas' was written as a song of Christian instruction, dating back to the 16th century in England with hidden references to the basic teachings of the Christian faith. While there is no hard evidence to either prove or disprove the origins of the song, it does offer a rich background from which to enjoy the music and verses. I absolutely love this rendition! 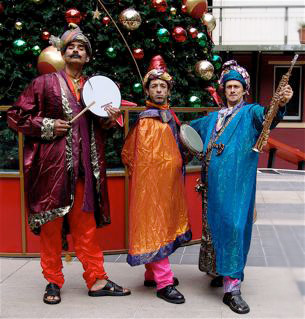 The Epiphany, or Three Kings day, is celebrated around the world as a day of feasting, and is generally preceded by parades, religious ceremony and gift giving. How do the 12 days of Christmas tie into this day you ask? 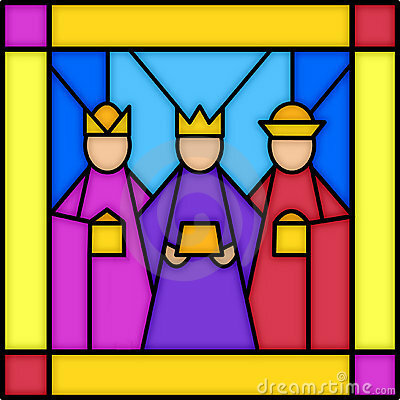 The 12 days lead up to the celebration of Three Kings day! The beginning and ending of the 12 days of Christmas can be somewhat confusing as there are many different calendars, traditions, religions and cultures, each one with their own variations of celebration. So as not to confuse anyone, I am using the Western Church belief which has the 12 days of Christmas starting on the evening of December 25th, through to the evening of January 5th, with January 6th being the Epiphany, or the day the Magi (Three Kings) presented their gifts to Jesus. All over the world, different countries were celebrating their version of Three Kings Day with parades, festivities, gifts and feasts. Oh, the food! Children danced through the streets, chasing the revelers and floats in hopes of catching the treats being tossed into the crowds. We managed to catch up to some of our Kings while they were taking a break in the musical festivities! In keeping with the tradition of Three Kings Day, our first trio of Kings, Maddie Ruud, Jason Menayan and Simone Smith, were pleased to present the first selection of HubNugget hubs for your voting pleasure! I think they look smashing in their festive outfits - and my goodness they tan well! Here for your reading pleasure are the first 3 categories of new HubNugget Wannabes. 12% Do You Have A Job Or A Career? 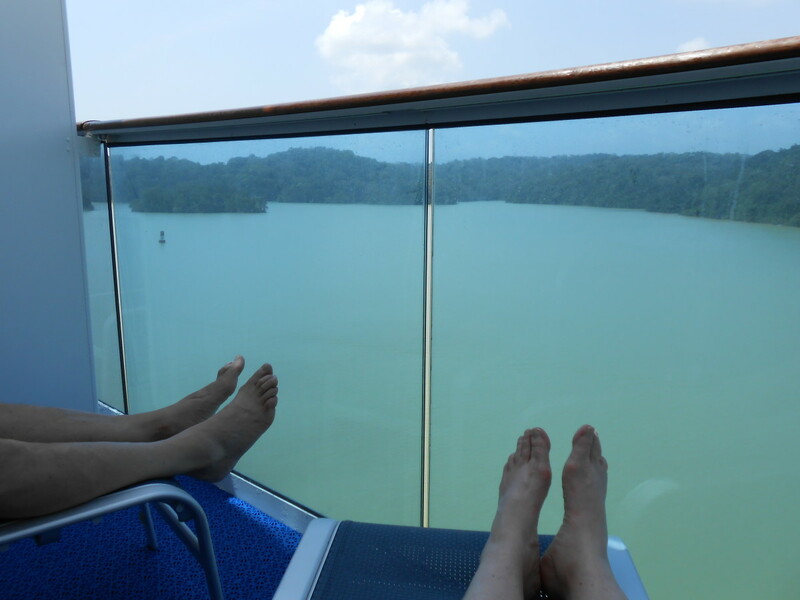 18% How My Hobby Made Money For Me - It Could Work for YOU!!! 84 people have voted in this poll. How My Hobby Made Money For Me - It Could Work for YOU!!! After a wonderful meal with our Kings, we headed east in search of second set of Kings. We crossed mountains and rivers in search of the three, but to no avail. Just when we were about to give up and come home, we finally tracked them down in Peru of all places. We watched as they paraded through the streets on their camels, waving and smiling to the crowds. After finally convincing them to grant us an audience, Zsuzsy Bee, Patty Inglish, and ripplemaker graciously agreed to present our next selection of Wannabe Hubnugget hubs. Which one of this week's Games, Toys, and Hobbies nominees is your favorite? 24% The Best Low Tech Toys for Five Year Old Boys: Toys With No Batteries. Stuffed teddy bears make lovable toys, but where did they come from? The Best Low Tech Toys for Five Year Old Boys: Toys With No Batteries. By the time we left our Kings, we were starting to waddle, what with all the feasting! However, the long trek to Eastern Europe would certainly help with the digestion! We had heard a rumor that our final trio had been spotted in the Czech Republic, so we were on our way to try and meet up with them. 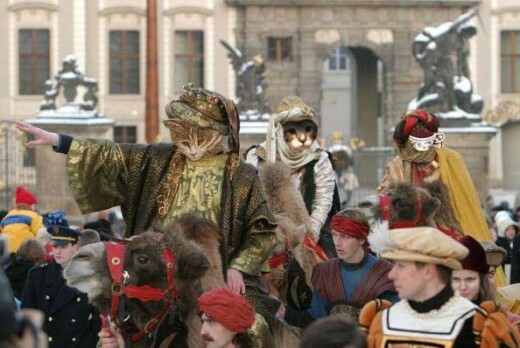 Sure enough, our third trio of Kings, KoffeeKlatch Gals, Enelle Lamb, and RedElf were discovered in Prague, riding through the streets accompanied by hundreds of local residents and visitors. After capturing the bridle of the lead camel, we managed to persuade them to present the final installment of HubNugget hubs. Be sure to read and vote! 26% Classic Atlantic Salmon Flies- Designed To 'Catch' Fishermen, Not Fish! Classic Atlantic Salmon Flies- Designed To 'Catch' Fishermen, Not Fish! Congratulations to all the HubNugget Wannabe Nominees! Now get out there and promote your hubs to your friends and family! The voting is now closed on this hub. Each HubNugget hub runs for one week. 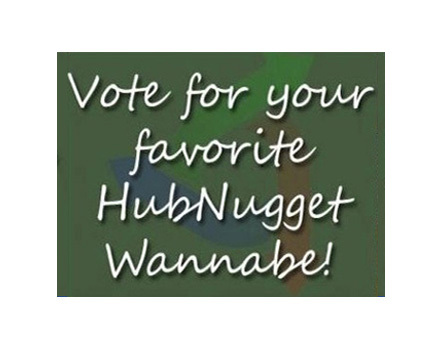 The new HubNugget hub is here: https://hubpages.com/hub/There-were-Ten-little-Hub... Be sure to read and vote before Thursday! where I have to vote? Congratulations to the winners and to all the nominees!! I was so very excited about my nomination for HubNugget but being superstisious I did not want to jinx anything by commenting. But now I can sing it from the mountain tops...I AM A HUBNUGGETER!! Thank you so much for the nomination and I am humbled to be a winner. YAY congratulations to all the winners. So glad to be a part of this. Read and voted. Once again some great choices. Cheers. Thanks for the pointers RedElf :)- Amy, you are in good hands! Thanks so much for my nomination! I am so happy to be part of this! Thank you everyone!!!!!! I always love reading the new offerings of hubnuggets. I admire the effort put in to gathering them all in one spot. I learn so much as well as get to meet some great people. Thanks Enelle for all your efforts. I read and voted. Congratulations to everyone who was nominated, good luck! With my home computer still being on the fritz (getting some shock treatments as we speak) this was the first chance I got to pop in and read the new hubnugget hub. Ironic, I'm on a borrowed laptop because I lent mine out just last week. Congrats to all of you Hubnuggeteers, great wannabe prospects. Don't forget to promote your hub. Congratulations to all that have been nominated! I won last week so it kind of cool to tell friends and family I actually won something!! Thank you for nominating my hub!! I never heard of HubNuggets before, but I am thrilled to be nominated for something. Thanks to everyone who votes. I am having fun in the Hubpages community and there is so much communication swirling around behind the computer screens. Who knew? Amy, those are added by staff so that people can vote on the HubNuggets. You can do something similar, though. In edit mode, you will find two capsules, the "poll" and "quiz" capsules, which allow you to create your own polls and quizzes for people to have fun with, voting on things in your hubs. This was absolutely fabulous!! Great work, just love the voting opptions placed in here, too. If you could give me any tips or a how to walk through of just how, you get these placed into your hubs. This would be a great addition to some of mine as well, help??! A.B. 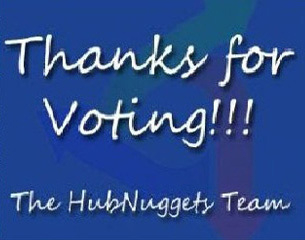 Great job Enelle Lamb, I just placed my vote and am looking forward to more Hubnuggets next week. Welcome Ladyjan1 :D It seems to get more difficult with every Nugget hub! 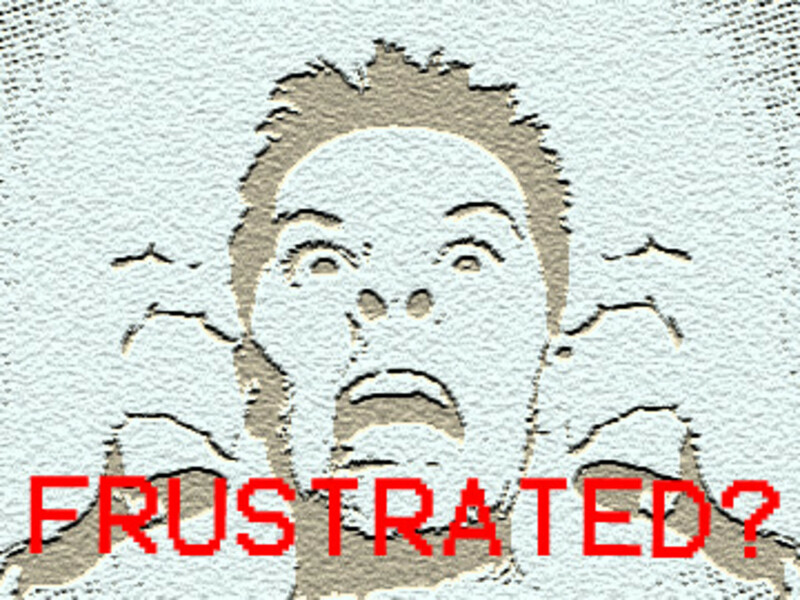 There are a great batch of new hubs to choose from, and next week we will be faced with the same dilemma! Thanks Glow Pebbles and congratulations on your nomination! KoffeeKlatch Gals - I was rather fond of my camel too - he was most accommodating ferrying this kitty through the streets without incident! Great hub, I know we all had a ton of fun. Love my camel - I named him Charlie. The stone soup was delicious. In our home it's the'kitchen sink soup'. Anything in the fridge is fair game. Read and voted. There was a great group to choose from. Come on down everyone and VOTE, VOTE, VOTE. Awesome - thank you! The rendition you choose was wonderful - have never heard a holiday song with clapping - it worked beautiful as did this Hub for a guide for great reading. Hi there - a very nicely written piece! I would also like to say I am very proud to be a nominee for a Hubnugget, it's done wonders for my writing ego! If you like my piece you know what to do! Great hub and I did vote :)) I thought it was quite difficult however because they were really all very good. I was honored twice with a nomination for a hubnugget for the same hub and won the second time so I know how exciting and encouraging it is for new hubbers. Its also a great way to keep people hubbing because just being nominated inspires people, I know it did for me. Really enjoyed your hub and I liked the videos as well. Cheers. RedElf, I think you looked smashing in your new hat! Too bad you couldn't have some of that soup - it was amazing! Hi Maddie - hope your eardrums are ok - Jason plays a pretty mean drum...looks good with the mustache though eh? Holy cow Patty - guess people are interested in making money this year! Come on fellow hubbers - read and vote for your fave Wannabe! WOW! Business and Employment as a category is way out in front in the voting. Get your friends to vote everyone - they need not be members of HP! Read and voted - nice bunch of HubNuggets, Enelle! Fun hub and pictures, too. Hilarious Hub, great selection of Wannabes. Couldn't ask for more. So that's what that was in King Bee's pot! I shall have to go back and try some, as I am big fan of Stone Soup. We make a local variant of that in my family, called "clean-the-fridge" soup. I am taking down Christmas today, and we had a feast of Christmas Tourtiere yesterday - one last Christmas feast before Mardi Gras! Great hub, and some tasty reading, Enelle - congrats to all the nominees! Really great Hubs this week - and in a fabulous Hub to boot! Voted up and congrats to the nominees! A wonderful Day of Kings and Music, Enelle Lamb Kitty, and a wonder to read, listen,and enjoy! For myself, on January 6th down come the Christmas Lights and up go the Mardi Gras Lights in another step towards Fat Tues/Ash Wednesday. I think I'd like to put up some stained glass as well, after reading your Hub. 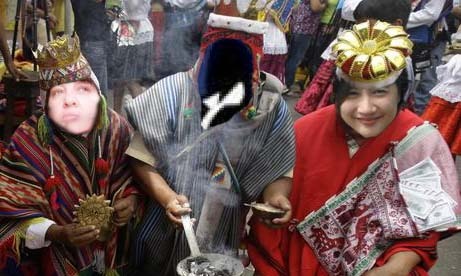 Speaking of Ashes, how'd the crowds like our stone soup you see us serving? King Zsuzsy Bee added some special stones this year! Congratulations to the HubNugget Wannabe Nominees and thanks to all who pass this way, read, and vote for our new writers. Every vote helps our community to grow. Huzzah!